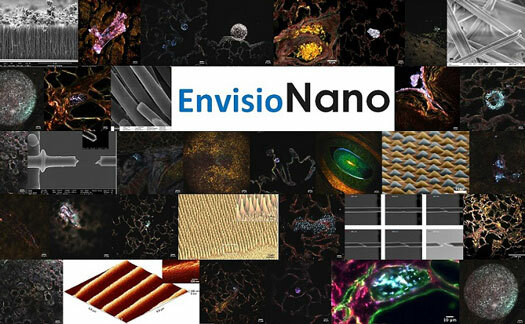 (Nanowerk News) The National Nanotechnology Initiative (NNI) invites members of the public to cast their votes for the winning images in the EnvisioNano photo contest. Students from labs and schools across the United States sent in pictures and descriptions of their research for the chance to win the top honors. Winners will have their images showcased on Nano.gov and displayed at TechConnect World Innovation 2015, an annual conference and trade show to be held at the National Harbor Convention Center near Washington, D.C.
As a judge, keep in mind that this contest isn't just about cool pictures at the nanoscale. The students were asked to envision where their research is headed and how “seeing” at the nanoscale is important to reaching that vision. So, while you’re judging the images, please take a minute to learn how each image fits into the research goals of the students’ projects and how nanotechnology may improve your life.